Picasa is an image organizer and image viewer for organizing and editing digital photos from Google. what’s new in this picasa 3.0? Improved integration with Picasa Web Albums and Collage tool. Better uploading with the upload Drop-box and bandwidth throttling. New Retouch tool to remove unsightly blemishes and improve photo quality. add text or watermarks to your photos. 1.Go to picasa download page and download the deb package file for Debian/Ubuntu (32-bit or 64-bit). 2.Double click the .deb package file or open with ubuntu software center and click the install button. 3.Type your ubuntu password if needed and wait until the installation is complete. 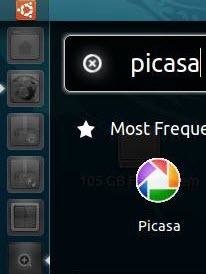 4.To open picasa, click Applications icon from unity launcher. And type picasa in the search applications field and click picasa. FIRST!!! hey there’s a dead link up there for picasa .deb. anyone got the file to post a link to?